Before a federal tax lien comes into existence, an assessment is made by the IRS by recording the liability in the office of the Secretary. Notice of the assessment along with a demand for payment is sent to the taxpayer within 60 days of the assessment. If the taxpayer neglects or fails to pay the obligation, a lien automatically arises. The federal tax lien relates back to the date of assessment, and extends until the liability for the assessed amount is satisfied, or until it becomes unenforceable by passage of time, generally ten years from the assessment date. The federal tax lien attaches to all of the taxpayer’s property and rights to property, including after acquired property. A federal tax lien does not attach, however, to property properly transferred from a taxpayer prior to the creation of the lien. 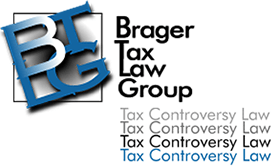 If a taxpayer’s property is not in the possession or in the name of the taxpayer, or if the taxpayer has transferred property, the IRS may employ one or more theories to reach property—namely, nominee, alter-ego and transferee liability. The scope of property and rights to property are governed by state law. If there is a property interest recognized under state law, the lien attaches to it. Federal law determines the manner and extent to which the federal tax lien encumbers a taxpayer’s property interest. A general tax lien attaches virtually to all of the taxpayer’s property as of the date of assessment or acquired thereafter as long as the lien is in effect. Code Sec. 6321 provides that the lien attaches to all of the taxpayer’s property, and there are no exemptions, although certain types and amounts of property are exempt from levy. If property to which the lien attaches is transferred, it is transferred subject to the lien. However certain third parties are protected, unless the IRS has previously filed a Notice of Federal Tax Lien (NFTL). In some situations, third parties are protected even after the IRS has filed its Notice of Federal Tax Lien.